Top medical expertise with excellence in surgery: That’s what ETHIANUM stands for, in Heidelberg, the German Capital of Medicine. A medical competence centre of unique quality can be found in the idyllic city of Heidelberg: the ETHIANUM, clinic for plastic, reconstructive and aesthetic surgery, orthopedics, hand surgery and preventive medicine. For people who would like to maintain, regain and improve their body and its functions – at the highest international level. Here you will experience how cutting edge medical services are perfectly complemented by first class treatment and the atmosphere of a top class hotel. 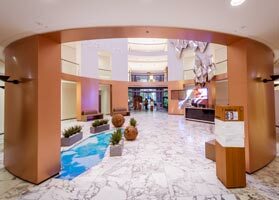 The ETHIANUM, which opened in October 2010, is one of the most state-of-the-art clinics in Europe. With a visionary claim towards holistic service quality, a truly humane clinic philosophy and scientific research that is as ambitious as it is sound. We provide a central point of contact for all arrangements to set up appointments, treatments, and stays at the ETHIANUM. 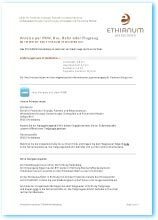 Please contact +49 6221 8723 403 or by email to international@ethianum.de. The ETHIANUM was founded by Professor Dr. Guenter Germann. 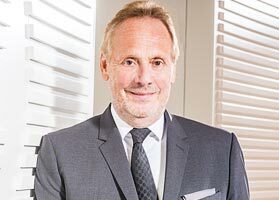 Until recently, he was the President of the internationally renowned and largest German Society of Plastic, Reconstructive and Aesthetic Surgeons. 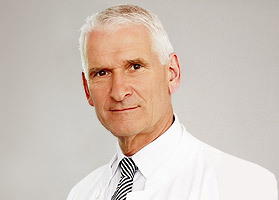 As Head of Department, Professor Dr Germann managed the Berufsgenossenschaftliche Unfallklinik in Ludwigshafen (Ludwigshafen BG Casualty Clinic), Germany, for 18 years, giving it an international reputation. He is considered an excellent microsurgeon within the international arena and has been practising plastic surgery for more than 30 years, with over 25 years of experience in hand surgery. As early as 2001, Professor Germann was awarded the McCormack prize of the University of Rochester (New York) for his scientific work. 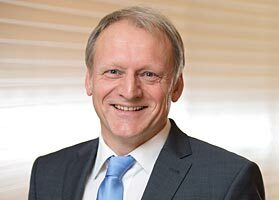 He is a distinguished member of numerous scientific committees worldwide and has held the Professorship of Plastic Surgery and Hand Surgery at Heidelberg University since 1999. Above and beyond that, Professor German maintains a research laboratory that is primarily dedicated to the development of diagnostic and surgical procedures – also in the area of stem cell research. With the foundation of the ETHIANUM, Professor Dr. Germann, specialist for plastic-reconstructive surgery, hand surgery and aesthetic surgery, has realised his dream of a perfect clinic. Professor Germann has attracted a team of renowned specialists to his clinic. Professor Dr. Matthias Reichenberger is Board-Certified Plastic, Reconstructive and Aesthetic Surgeon. He was awarded a doctorate from renowned universities in Germany and Switzerland. The Surgeon was also most recently employed as Senior Registrar at BG-Unfallklinik Ludwigshafen until he became partner of Professor Germann in Heidelberg. His specialist areas are reconstructive and aesthetic breast surgery, facial surgery as well as skin firming surgery after weight reduction. 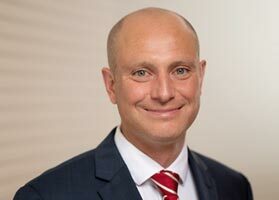 In research, Professor Reichenberger is actively seeking new wound healing and nerve regeneration methods and looking into the prevention of capsular fibrosis after breast implant surgery. Would you like to drop a note to Prof. Dr. Reichenberger? 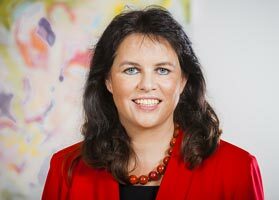 Associate professor Dr. Eva Koellensperger, MD is an expert in the women’s intimate surgery (e.g., labia reduction or reconstruction of the hymen) and in advanced treatment of scars (e.g., from accidents, burns or tumor operations, as well as self-injury from incisions on the forearm). For scar correction/revision, Dr. Koellensperger, a specialist in plastic and aesthetic surgery, employs techniques such as dermabrasion, needling, or serial partial excision, as well as special skin grafting techniques (spray-on skin, derma stamp treatment, ...) and other methods such as flap grafts, tissue expansion, etc. Patients find her a very discreet contact. 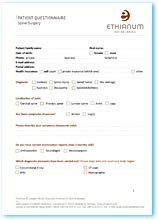 Would you like to write to the surgeon? 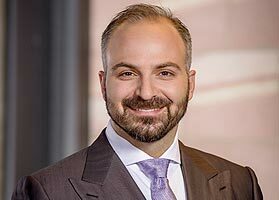 Dimitrios Takas is a specialist in plastic and aesthetic surgery, he has returned to his mentors Prof. Dr. Germann and Prof. Dr. Reichenberger after many years of experience at specialist centres. Under the guiding principle of ‘Natural beauty through experience and perfection’, he is the specialist for lifting operations (Abdominoplasty, Body lift and Body contouring) and treatment for Lipedema – Liposuction and for cellulite (Cellfina). Micro-surgery and Hand surgery are other key surgical specialities. 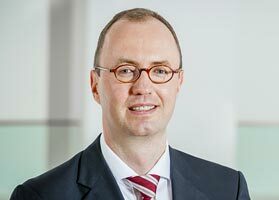 One of the most experienced specialists for spine surgery worldwide – Professor Dr. Juergen Harms, specialist in orthopedics and accident surgery – operates at ETHIANUM. Thanks to his research and new developments, he is considered a trailblazer with regard to progress in the treatment of spinal disease. Alongside other innovations, the ‘Harms titanium mesh cage’ and ‘polyaxial screw’, which were developed by him, are now regarded state-of-the-art in spine surgery. 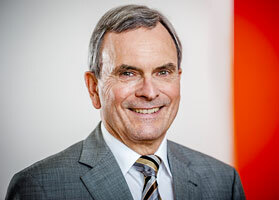 Previously, Professor Harms was Head Physician for Orthopedics and Spine Surgery at the Klinikum Karlsbad-Langensteinbach, Karlsbad for more than 30 years. He is an honorary member of the Scoliosis Research Society (SRS), the most renowned spinal association. As spinal surgeon, Associate Professor Berk Orakcioglu, MD is also the contact for back patients. He is a specialist in neurosurgery, with additional qualification as intensivist (in intensive care medicine). 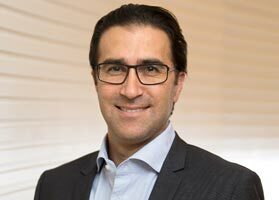 An experienced surgeon, he most recently served as Section Head of Spine Surgery in the neurosurgical clinic of the University Hospital Heidelberg. Dr. Orakcioglu emphasizes individual approach, from CT-guided pain therapy and minimally invasive surgical procedures, using the latest technology, to complex spinal procedures employing spinal navigation and permanent nerve monitoring. Prof. Dr. med. Felix Zeifang is an expert in shoulder and elbow surgery, open and minimally invasive procedures. 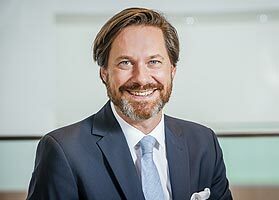 For many years, he headed the corresponding section at the University Hospital in Heidelberg and is the head of the training centre of the Association of German Shoulder and Elbow Surgery. The expert in total shoulder endoprosthesis (TEP) specialises in orthopedics and trauma surgery, rheumatology and paediatric orthopedics. Would you like to contact the shoulder specialist now? Dr. Lehmann is a specialist for orthopedics and sports medicine. He has an outstanding international reputation as a specialist for shoulder and hip conditions, especially for arthroscopic and minimally invasive therapies. In 2004, he was one of the first orthopedists in Germany to introduce minimally invasive treatment for hip joint disorders by arthroscopy. 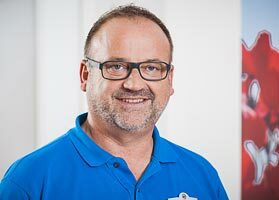 Dr. Lehmann also treats performance athletes and combines his patients' treatments with efficient physiotherapeutic exercise concepts. Would you like to write to Dr. Lehmann? Dr. Wolfgang Franz, MD is a specialist in surgery, trauma surgery and sports medicine. He is internationally recognized as a knee specialist. Each year, Dr. Franz carries out more than 1,400 knee interventions. He treats arthritis, cruciate ligament and meniscal tears using minimally invasive procedures. His areas of expertise include cartilage transplantation (ArtroCell 3D) and the AMIC method. He has authored highly regarded books on knee osteoarthritis and diseases of the knee. Should the extensive conservative measures become exhausted, several proven surgical procedures are available, ranging from arthroscopy to microfracture method. If the knee joint cannot be saved any more, Dr. Franz can take care of a complete knee joint replacement. Do you wish to make an appointment with the knee specialist? 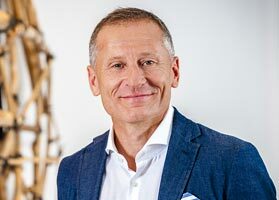 Prof. Dr. Jörg Holstein, MD, is a specialist in orthopaedics and trauma surgery with additional titles in specialised orthopaedic surgery, specialised trauma surgery, hand surgery, chirotherapy / manual therapy and specialist X-ray diagnostics. In Germany Prof. Holstein is considered to be pioneer of the minimally invasive AMIS technique which is gentle on the muscles. In this technique there are no injuries to the nerves and the muscles and tendons are not cut through but moved to the side instead. This gentle procedure means much shorter rehab times for patients and enables the leg to take strain again straight away. Dr. Ralph-Ingo Kern, MD has been for many years a successful gymnast himself. Therefore, as a specialist in orthopedics and trauma surgery, with additional qualifications in chiropractic, sports medicine, skeletal x-ray diagnostics, and acupuncture, Dr. Kern, a DVO-qualified osteologist, devotes himself to conservative orthopedics. This includes, e.g., various infiltrations, from painkillers to hyaluronic acid, as well as chiropractic and acupuncture treatment. Dr. Kern also looks after the German soccer team, TSG 1899 Hoffenheim, as the team’s doctor. Dr. Helge Schmitz is a specialist in orthopedics; he is Dr. Lehman’s partner. The orthopedist is known as an outstanding diagnostician in the field of sports injuries, in particular as regards shoulder and knee injuries. He gained professional expertise during the years at university hospitals that provided him with valuable overview of the field. 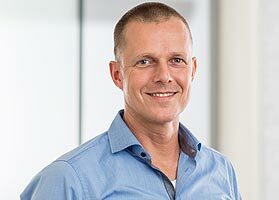 Dr. Schmitz also carries out outpatient surgeries, is a practitioner of manual medicine and chirotherapy (Deutsche Gesellschaft für Manuelle Medizin [German Society of Manual Medicine]) and an X-ray diagnostician. Would you like to consult Dr. Schmitz? 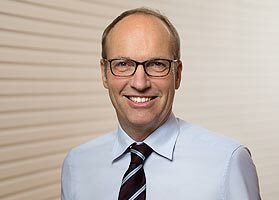 Associate Professor Dr. Amadeus Hornemann, MD, is a specialist in gynecology and obstetrics, focusing on gynecologic oncology, special obstetrics and perinatal care. Dr. Hornemann is highly regarded by his patients, in particular for his quiet and considerate manner. In the professional world, he is the only gynecologist in the region, who has been granted the MIC III certificate, the highest honor awarded by the German Gynecological Endoscopy Consortium. His surgical expertise includes laparoscopy for myomectomy, hysterectomy, surgery for prolapse, uterine reflections, and interventions involving the uterus and external genitalia (e.g., recovery or expansion of the hymen). 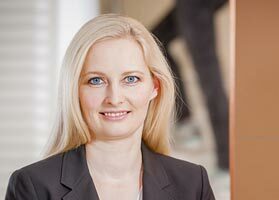 Arrange for appointment with the gynecology specialist Dr. Hornemann? 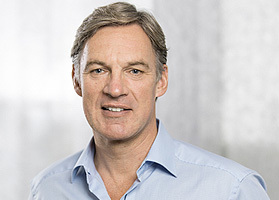 The Head of Department Prevention and specialist in internal medicine, Dr. Ludger Ciré. For more than 20 years he has very successfully been maintaining the performance of executives and top managers for as long as possible. Dr. Ciré is the person you can confidently turn to with regard to all health issues you are worried about. The health check he performs using state-of-the-art diagnostic equipment, provides reliable information on your current health status. Dr. Ciré himself will provide you with advice on how you can protect the health of your heart, lungs, organs and maintain your mental power long term. He is the expert of choice if you want a medical check-up performed in order to know how healthy you are. His excellent connections to the University Clinic will open up paths to any further diagnostics and therapy you may require. 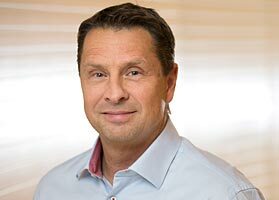 Dr. Reinhold Busch, MD, is experienced in preventive medicine and a specialist in internal medicine, cardiology, sports medicine and emergency medicine. At ETHIANUM Dr. Busch performs health check-ups and advises on issues relating to the cardiovascular system. He also assists both professional and recreational athletes with sports medicine performance diagnostics. 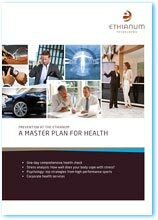 Do you wish to contact the preventive medicine specialist? Dr. Sylvia Proske is the contact person for women. She received excellent training at the Department of Dermatology of the University of Toronto, Canada and the Harvard Medical School, Boston, USA, amongst others. Dr. Proske is a specialist in dermatology, venous diseases and qualified for the additional designations allergology, phlebology, proctology and andrology. As a specialist for laser treatment, e.g. of tumours, she cooperates very closely with the surgical specialists of the ETHIANUM. 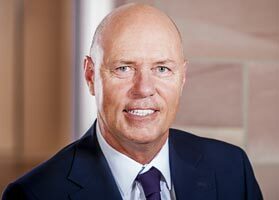 Dr. Peter Goerlich, Managing Director of the ETHIANUM, has held executive positions in healthcare since 1995. With his dedicated team, he realises a quality of clinic management at the ETHIANUM that is unique in Europe. »We model clinic operations process-oriented – in the interest of our patients. Thanks to measures such as the development of digital patient files and an innovative IT structure, waiting times are brief and procedures streamlined. This is where the physiotherapist of top athletes practices, the sports physiotherapist Stefan Korn. He is an approved golf physiotherapist and golf fitness instructor. In the ETHIANUM physiotherapy department he ensures, through targeted training plans, that clients recover more quickly after their injury or surgery. The services provided by his team of experienced therapists include application of classical remedial gymnastics (e.g. manual therapy) as well as physical therapies (e.g., classic massage, manual lymphatic drainage, electrotherapy). As a patient, you will be able to enjoy first-class medical treatment. The hospital is fitted with state-of-the-art equipment: the magnetic resonance imaging machine alone, manufactured by the leading technology supplier Siemens, is the most cutting edge machine currently on the market. At the same time, the ETHIANUM is a model with regard to sustainability. One of the most progressive energy and efficiency systems was created in close cooperation with Siemens. This renders ETHIANUM one of the most sophisticated clinics in Europe, in terms of environmental protection. The clinic's surgical centre was specifically designed in accordance with Professor Dr. Germann's requirements and is unique. Kommentar zu Sprachen / english?